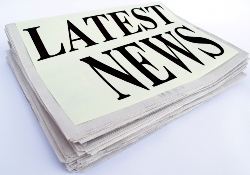 We are starting a new feature here at the Charlotte HVAC Guide – a local roundup of HVAC news ! Every month, we’ll be reaching out to local companies in the Charlotte area and helping you find the information and news they’re sharing on their websites or local newsletters. We’ll cover everything from coupons and special offers that may be in place, to the news Charlotte AC Contractorswant to share with everyone in the local area. If you work for a local heating and air company and want to put up on your newsletter distribution list to be sure we don’t miss something important, contact us at news -@- charlottehvacguide.com, and we’ll make sure we’re signed up for your company updates! If you want to save a few bucks on your next heating or cooling repair, Accent Heating and Cooling Services offers a repair coupon for the month of April. All you need to do is print off the $20 repair coupon, call to make an appointment and give them the coupon at the time of service. Have you heard of the NEST Learning Thermostat? The NEST is a great new programmable thermostat that can be accessed through the internet or your smart phone. Pretty cool huh? To learn more, head over to Adams Heating and Cooling to check out their NEST Learning Thermostat article. Need service, repair or replacement quotes? 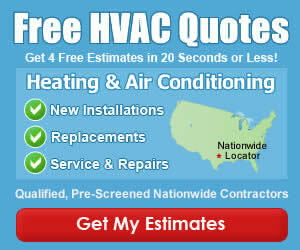 B&E Air and Heat is offering a great “ANY” coupon! Head over to their website and print off their coupon for $10 off anything today! Poor indoor air quality is what adds to these pesky allergies that we suffer from sometimes. McClintock Heating and Cooling offers a great article to help you rid your home of poor air quality irritants and breathe cleaner air today. There may come a time that you are without heating and cooling in your home, and it is good to know how to keep yourself and your family safe. Head over to Ross & Witmer HVAC and check out their “Stay Safe in Extreme Heat” checklist to get some great tips for staying cool! Want to share some news about your home service company? Scroll a little farther down to the comment section and fire away! We love hearing news from local home service companies in Charlotte.